Zula, acrobat, preparing for his act. 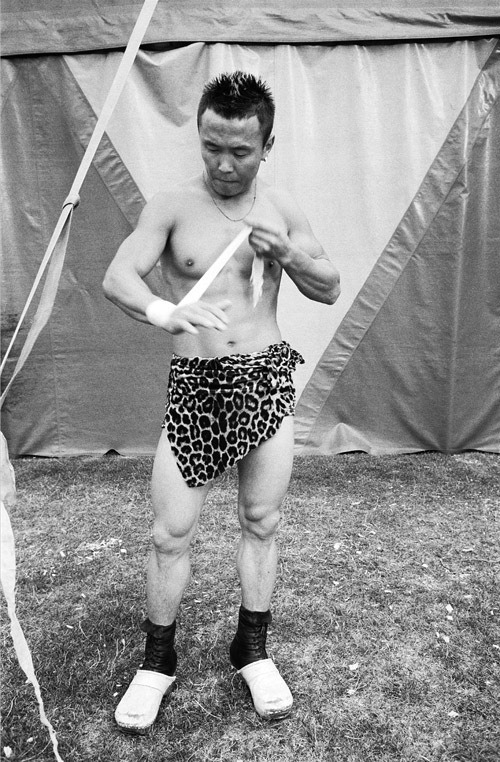 Circus shots on black & white film. the first one is impressive. to me the 2nd one is a bit too “usual”. 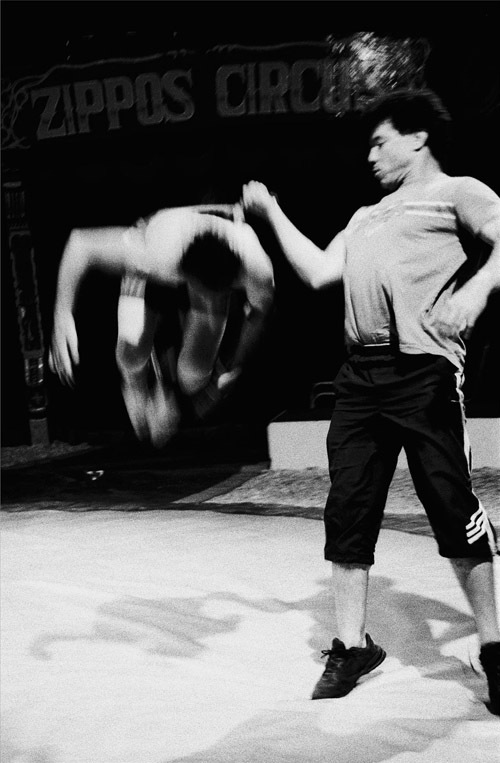 This entry was posted on August 31, 2008 by bip mistry in A PORTFOLIO, Documentary, Portraiture and tagged Acrobats, Circus photography, documentary photography, Messoudi Troupe, Yasin Messoudi, zippos, zula.